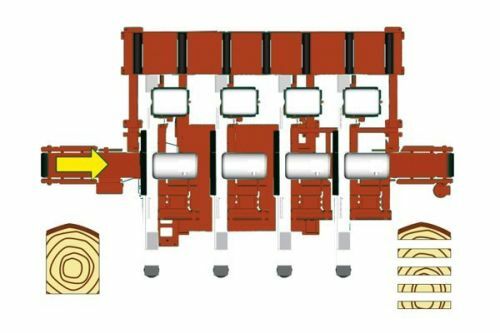 The Smart Log Processing System (SLP) is a flexible series of modular products designed for the profitable conversion of 100mm (4") to 400mm (16") diameter logs into boards, battens, and pallet wood. 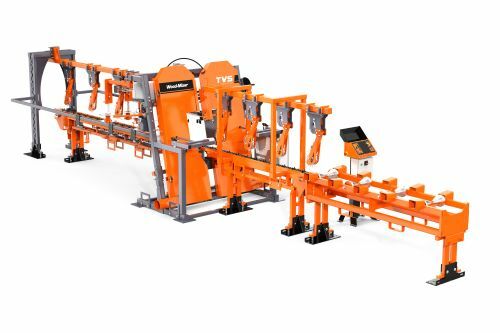 Although there are many configurations and setups, a typical layout consists of one or more TVS units (Twin Vertical Saw), SVS units (Single Vertical Saw), Horizontal Resaw and an EG300 edger. 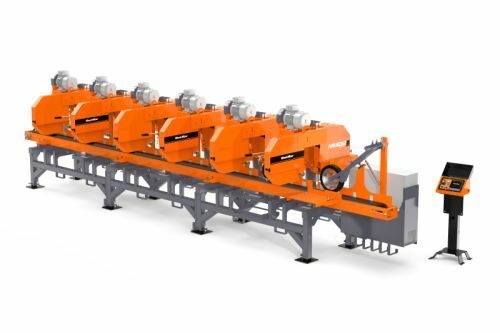 With hundreds of individual units and systems running worldwide, the SLP line sets the standard for processing small and medium logs for profit. 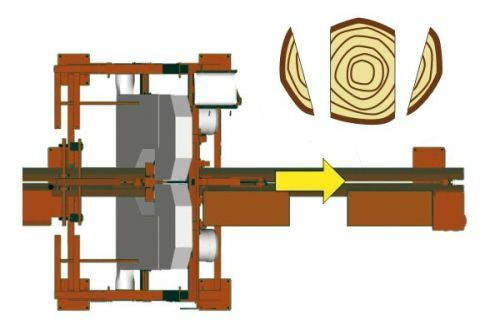 A typical layout consists of one or more TVS units which takes two sides off a log and then passes the two-sided cant on to the SVS (Single Vertical Saw). 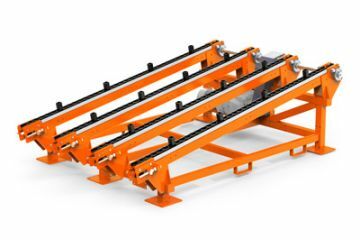 For those sawyers who want to produce four-sided cants from the log, we offer the TVS with a flat feed system which takes two-sided cants from the first TVS and removes two more sides in one pass. With a simple, but effective infeed system the SVS will make light work of splitting or removing the third side from the two sided cant coming from the TVS. The SVS can also be used to take one side off a slab, which can then be passed efficiently through our horizontal resaws to recover as many side boards as possible from the slabs. 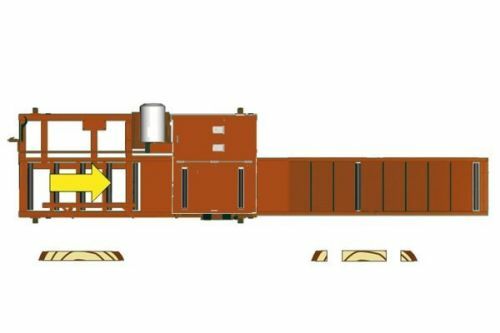 The slabs from the TVS and the SVS can then be passed to the slab reclaim line which consists of a Horizontal Resaw. 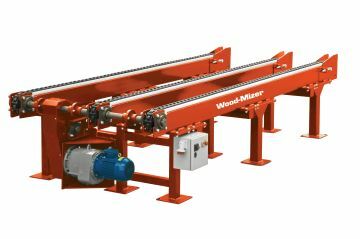 Ideal for resawing slabs or cants, a horizontal resaw is an essential part of your smart log processing line. 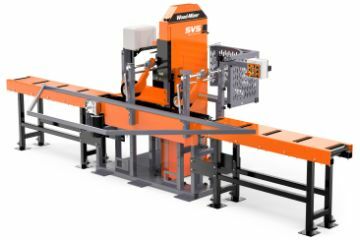 You can install additional heads, increasing the productivity of the Horizontal Resaw. EG300 Multi-Rip Edger standardizes up to three board sizes for maximum timber recovery. The EG300 is the ideal companion for the Wood-Mizer Industrial SLP line. This machine comes standard with two blades (one moveable). Up to three additional blades can be added for full function Multi-Rip capability. 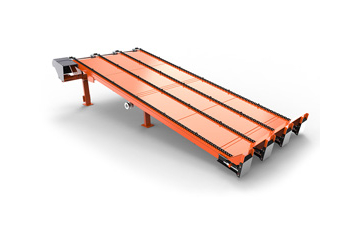 Designed to make loading the log deck with a forklift easier and more efficient. 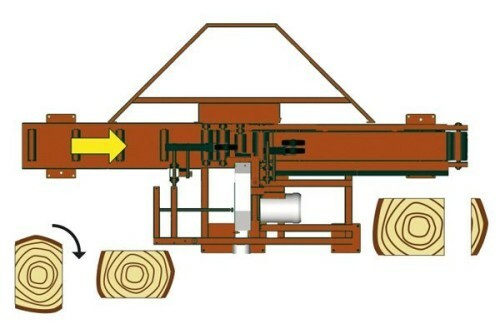 It also increases log capacity on the deck, minimizing loading runs. To keep your smart log line supplied with timber, you need a robust log infeed system. Our log decks are designed to withstand the rigors of the forestry industry. Massively constructed, our log decks will give years of service in a very demanding environment. The Idle Roller Table fits inline for the straight flow of material. The study table facilitates moving product from one area to the next within the system. 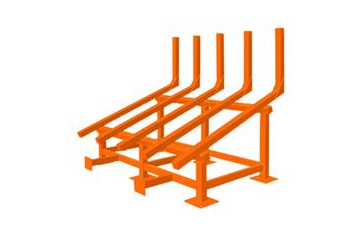 It is adjustable in height to accommodate a variety of set ups. 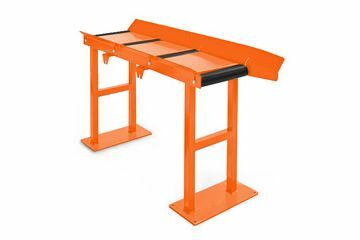 The Cross Roller Table is a simple, heavy-duty table for cross transferring sawn boards back into the material flow for additional processing including resawing and edging. 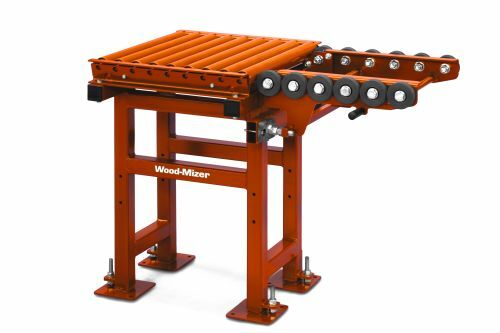 We know that every sawmill is different, and that’s why we made our transfer deck modular. Order a drive end module and an idle end module and then as many extension modules as you need for your layout. 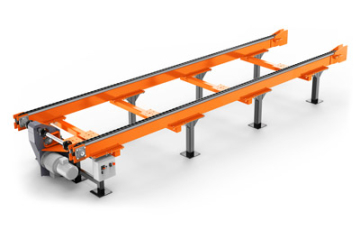 Increase or decrease the length of the conveyor, or the height/slope of the conveyor to suit your needs.